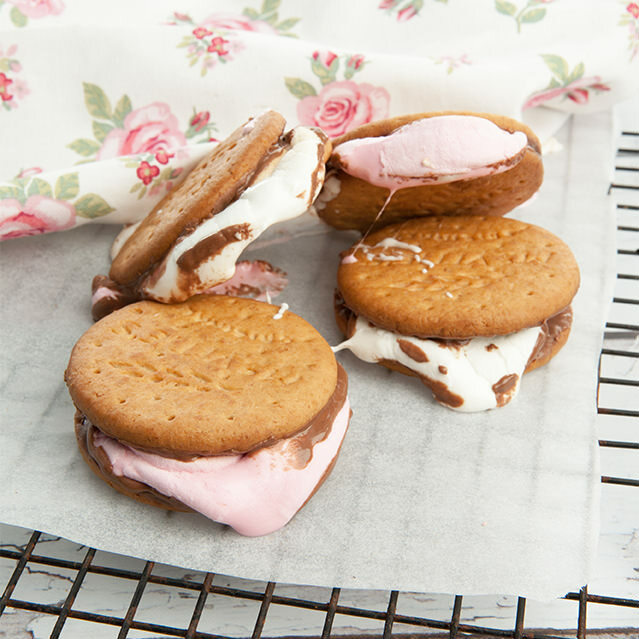 Here’s a smores recipe for your next camping or glamping trip that everyone will love. When we go camping we usually just toast marshmallows on the fire, but I liked the idea of trying this campfire dessert. My problem was, I really didn’t know how to make Smores in Australia. I knew I would need to modify the ingredients a little as we don’t have graham crackers in Australia. I took a look at Graham crackers on the internet. They seemed to be much like our digestive cookies. From past experience I knew that Digestive cookies come in a chocolate coated version. My trial run of this iconic American snack was during a recent camping experience at Pebbly Beach. I tried to cook my Aussie Smores on the campfire but it was a total failure. The marshmallow didn’t toast or melt. I gave one to the kids to try, they complained that it was raw! Instead, I bought the tray inside the camper trailer. I took the top cookie off the smores. I put the base cookie, topped with two marshmallows under the camper grill. The marshmallows were charred and squishy in no time. I topped each sticky, sweet s’more with another cookie and offered them to the group around the campfire. These s’mores were awesome! As much as I don’t like to love junk food, I have to say I loved these! Forevermore I will be packing S’mores ingredients for our camping trip. 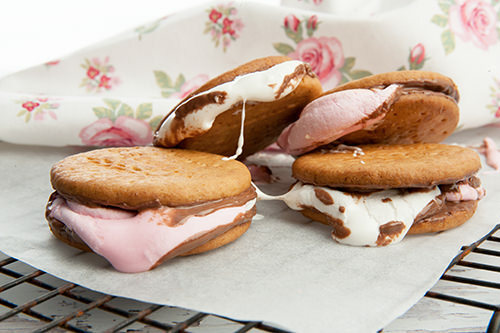 These smores dessert recipe doesn't require many ingredients but the results are simply divine. 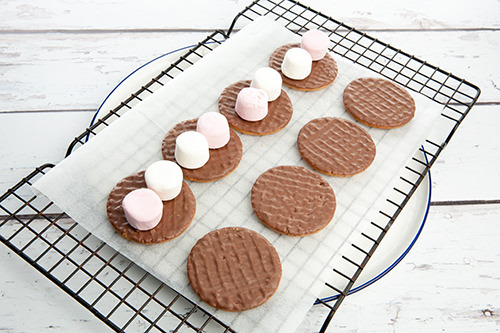 Place 9 cookies chocolate side up on a grilling tray. Top the cookies with two marshamallows each. Place the tray under the grill/broiler until the desired level of char is achieved. Top each of the cookies with another cookie and squish it together. Now I’m a little worried about what American’s think of my story on how to make Smores in Australia? Is this a reasonable approximation of an American S’more. 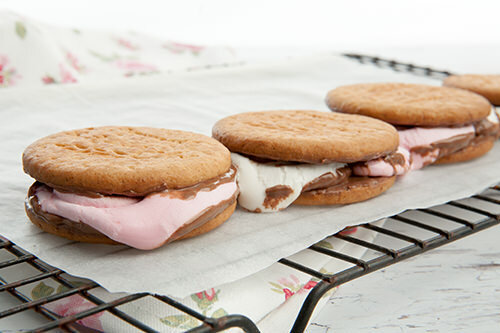 Is it okay to cook the Smores under the broiler or grill? Please let me know what you think? Have you also wondered what all the “S’mores fuss” is about?